Mansions of Madness is getting a new expansion. It's called Horrific Journeys, and looking at the state of that train on the cover, I'd say that looks like exactly what you'll be getting. But if you want some more details, you can check out this preview, wherein Fantasy Flight shows off the scenario from this new box set. We're halfway through October. The temperatures are dropping along with the leaves from the trees. It's the season of scares, and Fantasy Flight is celebrating with an event entirely dedicated to their spooky games like Eldritch Horror, Mansions of Madness, End of the World, and more during Arkham Nights, coming next weekend. As if Arkham didn't have enough issues already, the secretive Order of the Silver Twilight has been increasingly gaining control behind the scenes. Paying off police officers, installing their own politicians, enacting policies that specifically help them... They've got to be up to something. But what? That's for you to find out in the new Sanctum of Twilight expansion for Mansions of Madness, now available from Fantasy Flight Games. Several of my friends are huge fans of Mansions of Madness. However, it's a game that has a bit of a notorious reputation in terms of set-up time. Having a digital version of it would really cure a lot of those issues. Well, your prayers have been answered, as Asmodee Digital is working on a digital version of the game. Secret societies. What're they hiding in there? Are they up to no good? Or are they just harmless? Well, it would seem as though the Order of the Silver Twilight is looking to do something with Arkham. But what? That's what the investigators will have to find out in the upcoming Sanctum of Twilight expansion for Mansions of Madness. Unfortunately, people go missing all the time. It's a sad reality of life. But when people go missing around Arkham, there's an extra layer of mystery associated with it. What sort of otherworldly horror is at work this time? 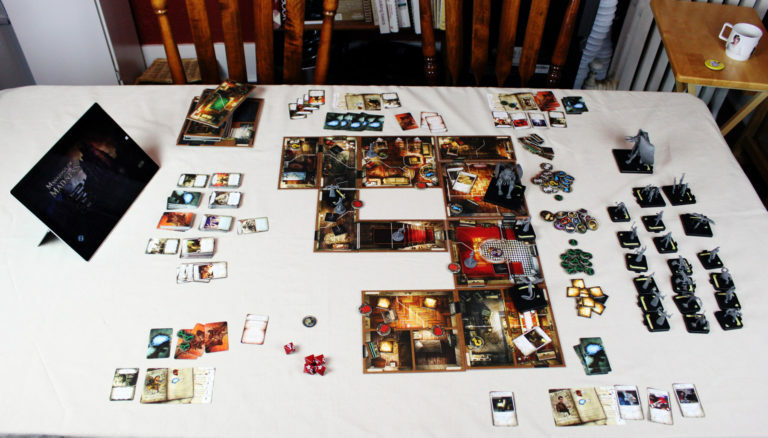 That's what players will have to figure out in Dark Reflections, a new DLC scenario for Mansions of Madness. The strangeness of Arkham isn't just limited to its creepy buildings like the Asylum and Miskatonic University. It's making its way out into the streets. Everyday people are becoming corrupted by the malevolent forces at work. Before everyone becomes scaled, tentacled, slime-spewing... things, the various investigators in the town will have to figure out what's causing all of this and stop it. 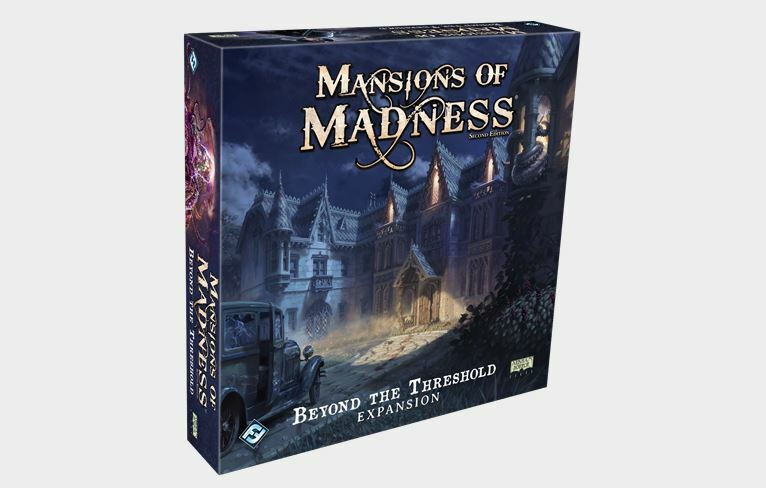 That's just what you'll be doing in Streets of Arkham, a new expansion coming for Mansions of Madness. A very good friend of mine is getting married today. Tradition has it that he'll carry his new bride across the threshold later. I'm hoping that his evening doesn't turn into a Lovecraftian horror story after that point... Though I have a feeling he'd find that pretty cool. 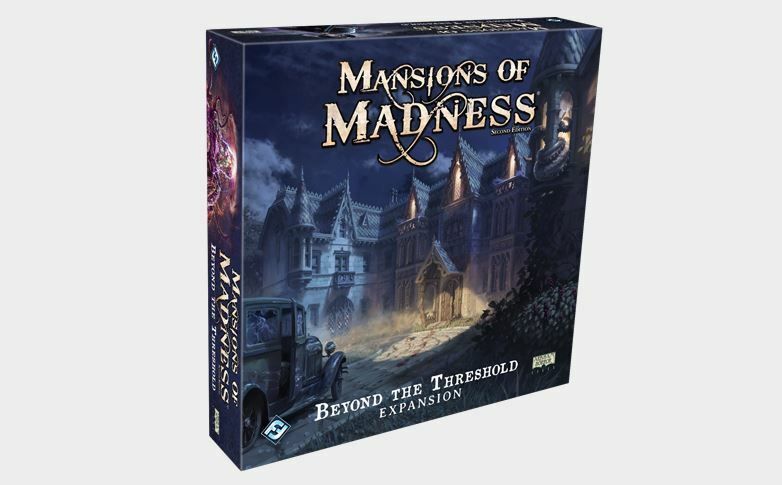 Well, now you can go Beyond the Threshold, yourself, as the first expansion for Mansions of Madness' new edition is now available. Early next year, Fantasy Flight Games is coming out with the first full expansion for Mansions of Madness, 2nd Edition. Beyond the Threshold brings you all new investigators to the horrific house that is Arkham. But along with just some new investigators, they'll also be coming out with new scenarios for you to go through. They've got a preview of one of them, Gates of Silverwood Manor, here. As board games and technology look to merge together more, I foresee this type of story becoming more regular than they are now. 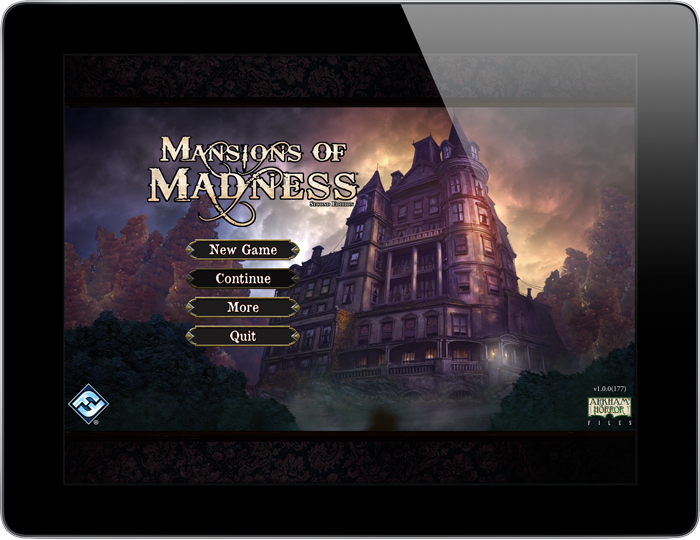 Fantasy Flight Games has released the first DLC expansion for Mansions of Madness Second Edition. There's no new figures or cards or anything physical to get, but you do have a new scenario to go on when you play. 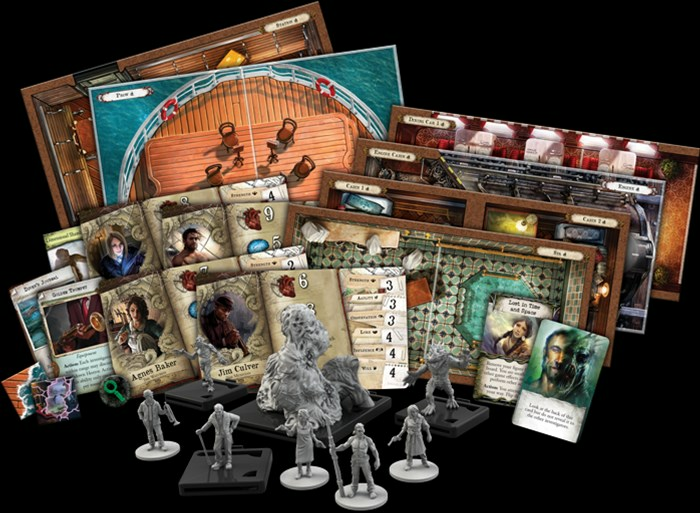 Mansions of Madness 2nd edition will soon be getting their first full game expansion. They've had some bits that simply bring 1st edition things to the new version, but this one's got some all-new content for you. If you want to greatly expand your Mansions experience, you'll be wanting to check this out, as there's plenty of new items to help you go crazy. It seems no matter where you go, there's always another otherworldly horror looking to destroy everything you know and love. It's enough to make even the strongest of minds begin to crack and strain under the pressure. But you know that your goals are true and that you must save the world again. Thankfully, there's more help to take on the strange creatures looking to breach the barrier that keeps the sane from the truly insane. That's what you'll have to do in Beyond the Threshold, the new expansion coming for Mansions of Madness. Sort of two ends of the spectrum for this batch of releases from Fantasy Flight Games. On one side, you've got starships flying around in a galaxy far, far away. On the other, you've got investigators searching through an old house. Well, both involve "hokey religions" anyway. There's new releases for both the X-Wing Miniatures Game as well as Mansions of Madness available from Fantasy Flight Games. 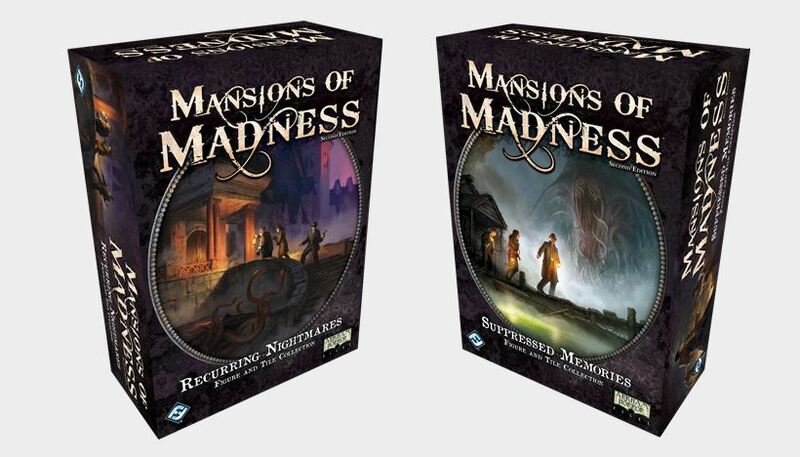 As we've seen, Mansions of Madness is getting a new edition. This new set makes the game into a 100% cooperative game, using an app to control all the monsters and create the map. But what about some of the 1st edition things that weren't in the main box? Will those be getting updated? Fantasy Flight answers that with the announcement of some new expansions for the 2nd edition game. 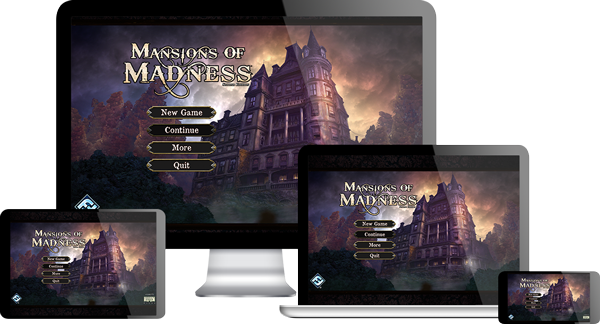 With the new edition of Mansions of Madness being announced, the thing that got most people's attention was the inclusion of a companion app that would now "run the game." As such, that would turn Mansions into a fully cooperative experience. There's been a lot of questions on what, exactly, the app will do, since it's now a required part of the game. 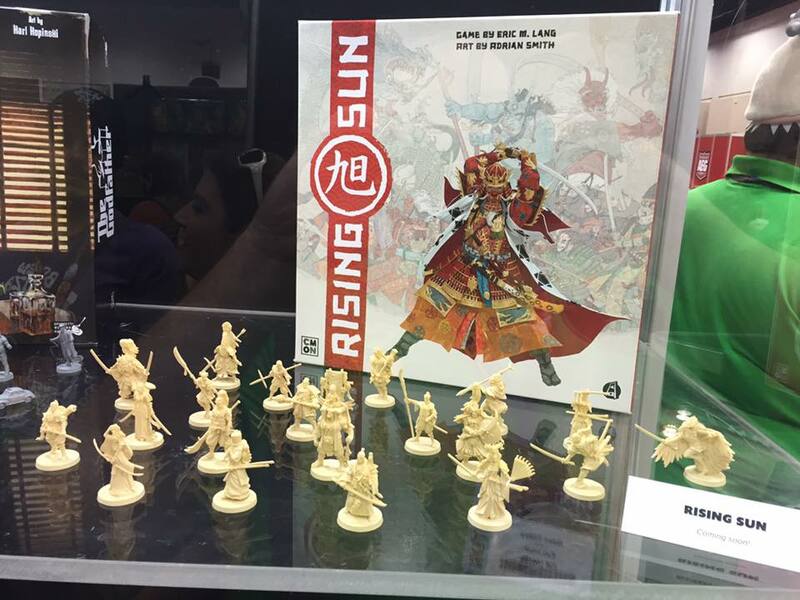 Well, Fantasy Flight has heard you and put up a preview of what you can expect.